Investigating small, efficient buildings is the common denominator for many projects. Investigating small, efficient buildings is the common denominator for many projects. One of these is Fremont DADU, developed by Robert Hutchison Architecture in Seattle, limiting the use of land without forsaking all the comforts of an independent home. DADU stands for Detached Accessory Dwelling Unit, and in the US it is also known as the backyard cottage. By law, these dwelling units can only cover no more than 35% of the building lot and the total floor area cannot exceed a total of 74 square metres. 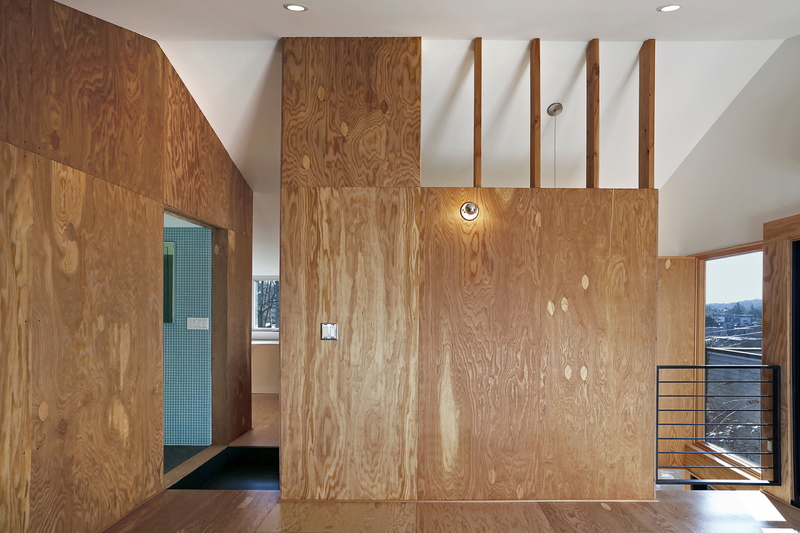 Robert Hutchison, principal of Robert Hutchison Architecture has come up with a great response in Seattle's Fremont neighbourhood, building this new dwelling unit right next door to his own backyard studio. A practical way of investigating design ideas for a small and efficient building that can, in turn, positively influence the main house by making the best use of the whole building lot. 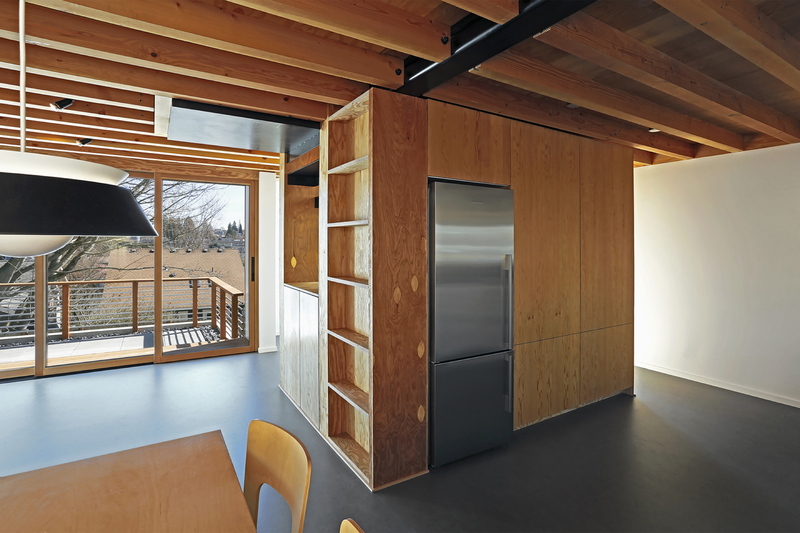 This 74-square metre building is just under the maximum floor area allowed for DADUs by the city of Seattle. 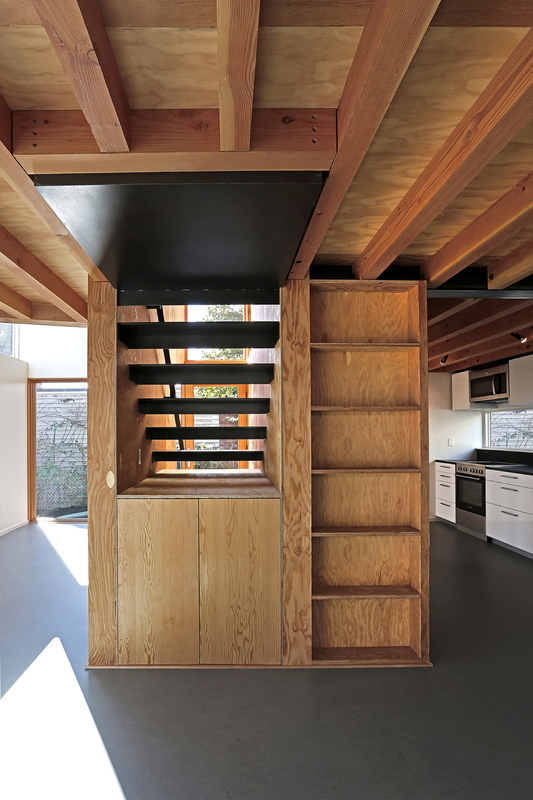 While technically a two-storey building, through the combination of a double-height space and the cladding of floors and interior walls with plywood, the space feels more like a large room with a loft. It makes even more sense if the accessory dwelling unit in question is located next to another one used for work, like here. This Fremont DADU is actually next door to Hutchison's accessory unit used as his studio and although it took away some of his views, it hasn't created any tensions between the neighbours. While the people living in the DADU are at work all day, Hutchison and his team are in their studio, and when it closes, the neighbours are back home, so the backyards and alley are activated and in use all the time. A simple but effective solution that improves the density of the urban fabric, and at the same time represents a cultural shift and helps keep districts alive and lived-in at all times. Of course, the important thing is to maintain trees and vegetation. The important thing is to maintain trees and vegetation — you can do that and still allow backyard urban conditions for more density.